I started quilting in High School and never stopped. 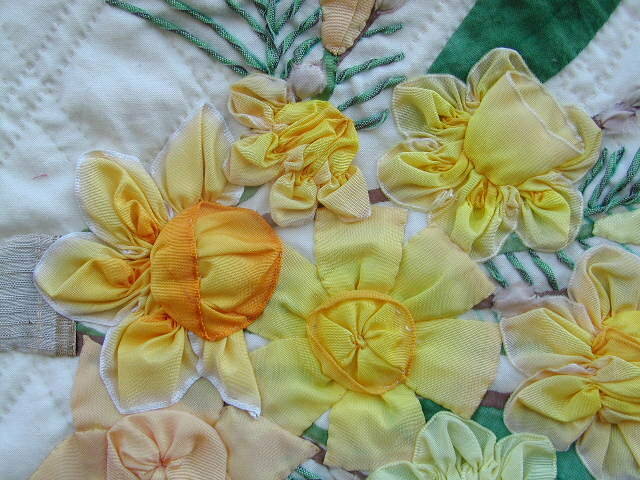 I love the rhythm of handwork, the feel of the fabric and the sense of accomplishment with a finished quilt. 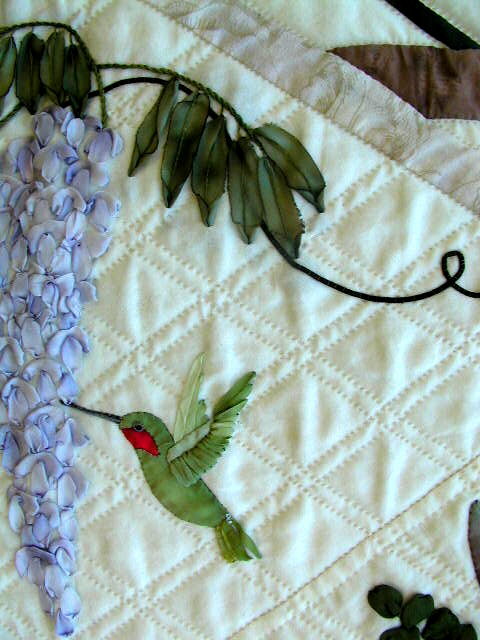 While I may take detours into knitting, needlepoint, wedding ribbons or glass decorations. I always come back to quilting. 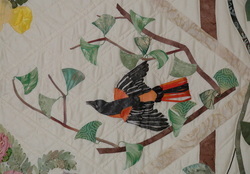 My favorites are my Ribbon Applique Quilts; a marriage of Traditional Baltimore Album Quilts and Ribbon Embroidery. 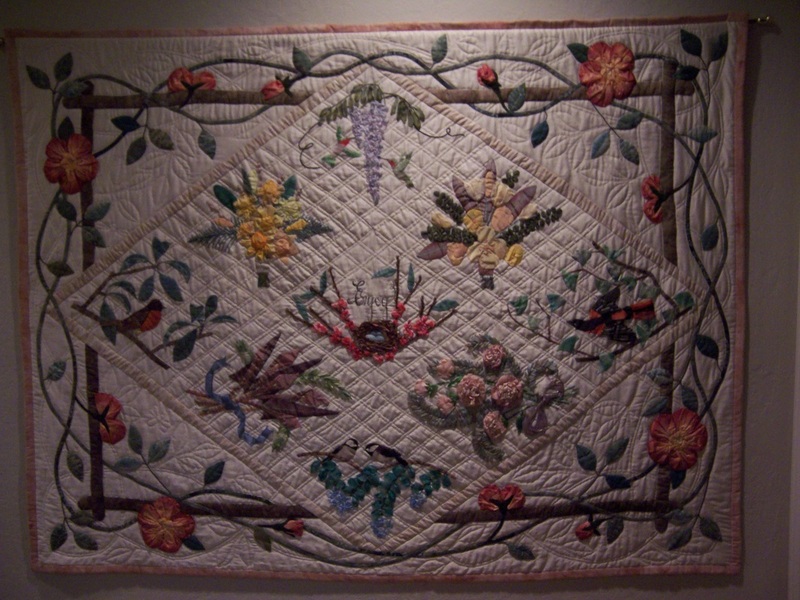 A long time student of Elly Sienkiewitz and friend of Alex Anderson my view into quilting is unique and I love it all. From the Sawtooth Star to Cathedral Windows, quilting traditions inspire me to continue to create and teach new quilters. 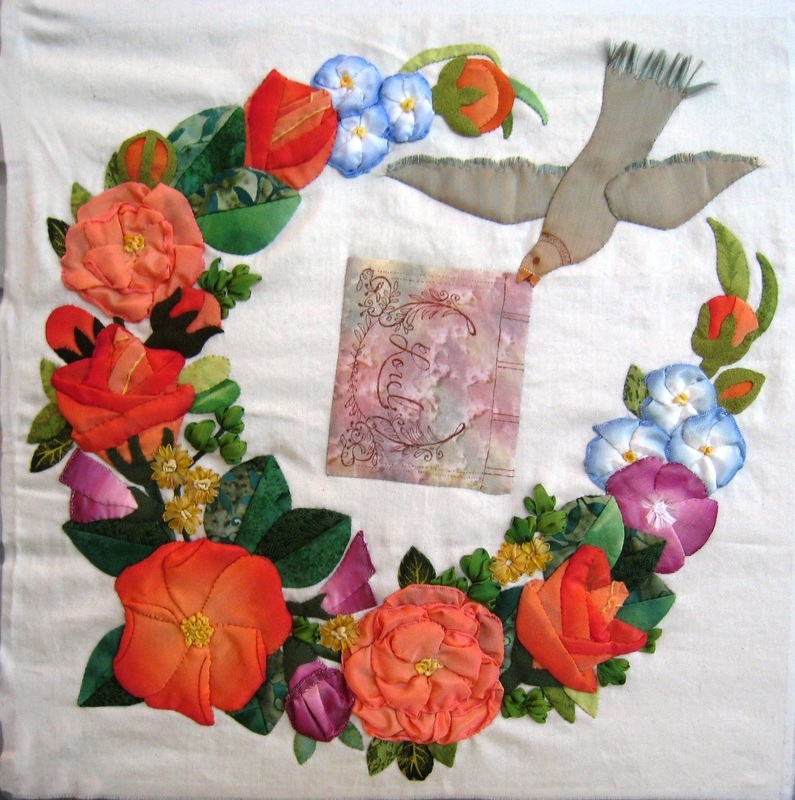 I found an antique lapel pin and loved the Rose Vine around the edge so much, it wound up as a border on one of my Ribbon Applique Quilts. 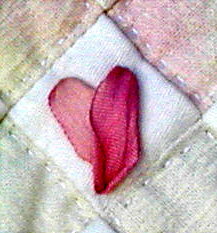 Sometimes it is the little touches, two stitches of ribbon turn into a heart. 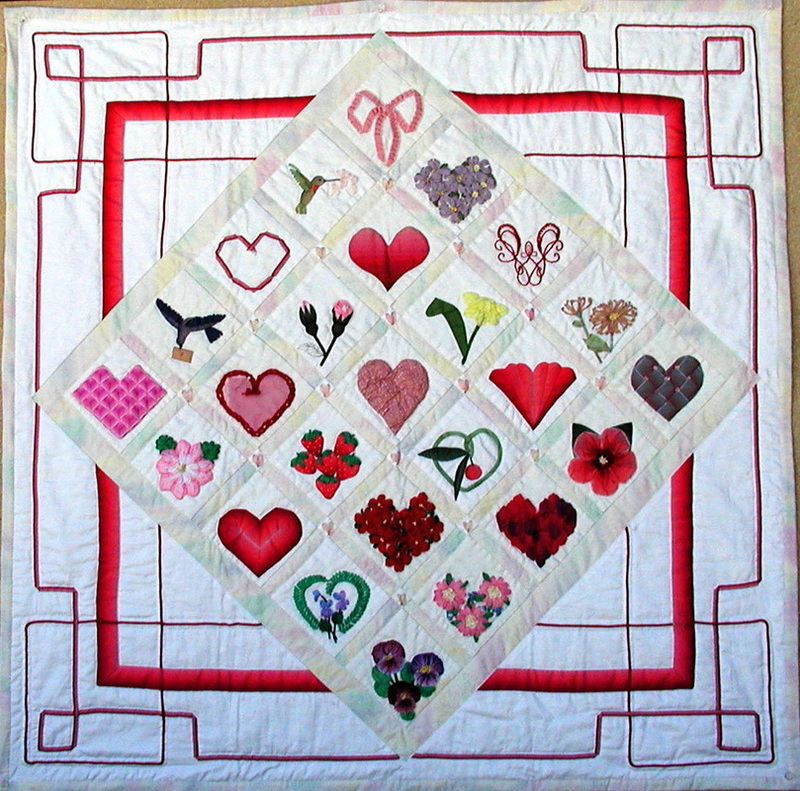 The Valentine Quilt is made from a variety of ribbons and trims. The 4" blocks make this a great quilt to start and learn all the ribbon embroidery techniques I use in my quilts. 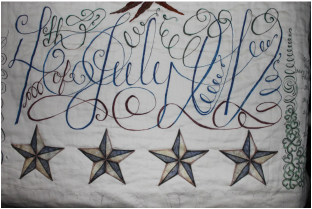 Elly convinced me to put pen (Pigma Pen by Sakura) to my quilts - and I have continued that path with Spencerian Script and Zentangle Inspired Art on quilts and glass. 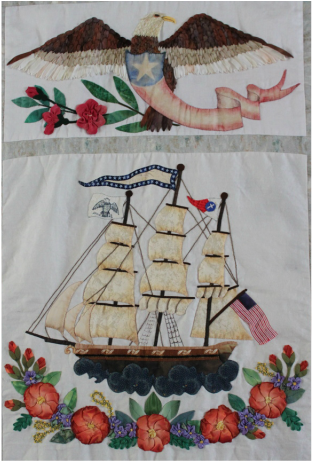 I am working working on a Mermaid quilt based on a painting from a friend of mine - the best part? The mermaid is holding a baby - how sweet is that? 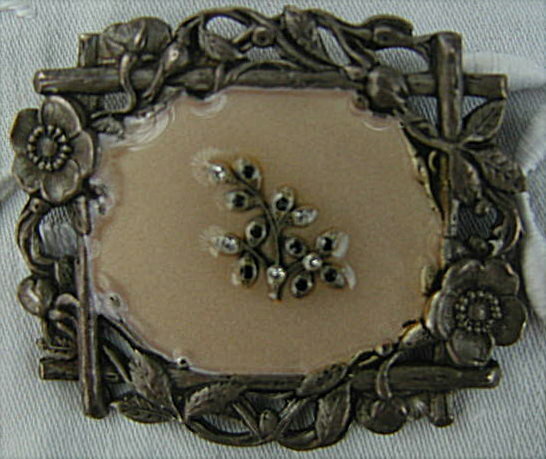 There is beading, fabric painting, embroidery, hand applique and lots of machine quilting. I can hardly wait to post pictures of this one!